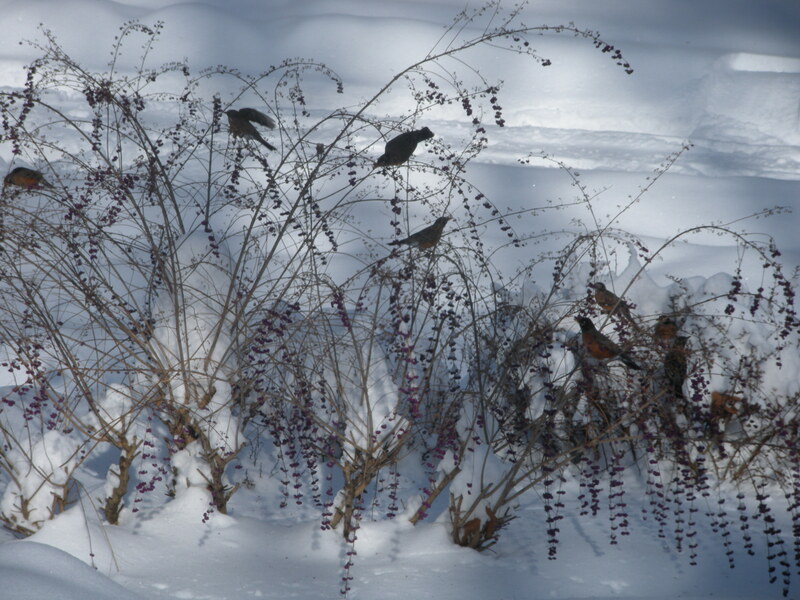 Beautyberries, virburnum, winterberry hollies, firethorn/pyracantha — include in your landscape to provide a food source for birds during the winter months. Plus, for those of us in around Zone 7, these shrubs will liven up an otherwise bleak garden. For bird shelter and nesting areas plant junipers, yews and arborvitaes. So this winter as you browse through plant catalogs and plan for spring — add these useful shrubs added to your list. 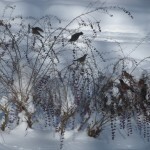 In heavy snow cover, birds and other small animals need all the help they can get. In addition to berried shrubs, keep your bird feeder filled and your birdbath water heated.